Block letters are the style that is easiest to print and cut out of cardstock to make custom scrapbook page titles. With these reversed block upper case letters you can print the entire set in a custom size on the back of cardstock or scrapbook paper and then cut out the ones that you need to spell out a title or phrase for your scrapbooking layout. To save this image to your computer, simply right-click and select "save as." To copy it to a word processing document for resizing and printing, right click and select "copy" and then right-click on the document and select "paste." 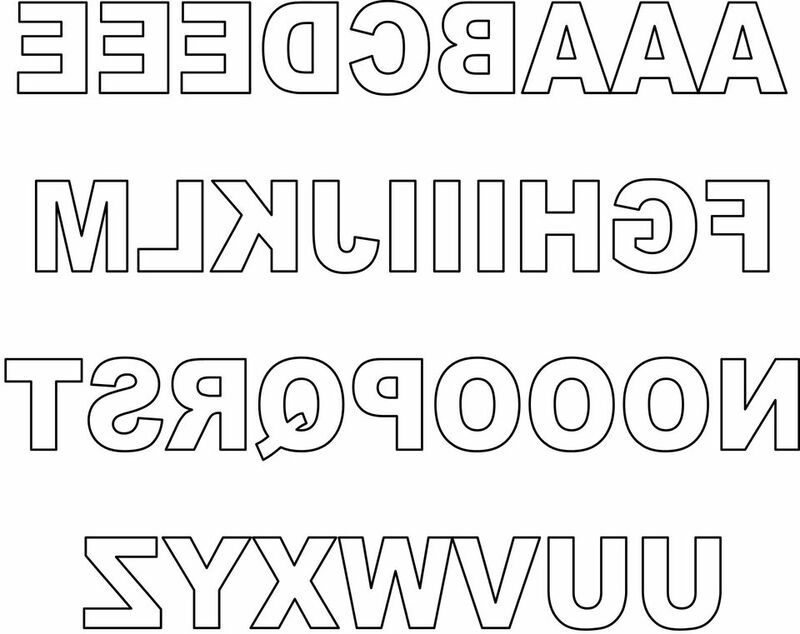 You will not necessarily want to have all of your block letter cut-out titles in upper case, so here is the entire set of block letters reversed in lower case format. You will need to experiment to get the sizing correct between the lower and upper case letters when you go to print them, so be sure to do a test print or two on regular office paper before you try them on your scrapbook paper or cardstock. To add a number, perhaps for a date or age, to your scrapbook page title, you will need numbers. Use these reverse block numbers to add to your set of reversed letters that you can print to create scrapbook page titles. And finally, to complete your scrapbook page title, you may need punctuation or a symbol (such as a bracket or arrow). You can use these free reversed block symbols and punctuation to complete your reversed block letter fonts for scrapbooking. These punctuation pieces also make terrific scrapbook page embellishments. The > (greater than sign) can be used to make an arrow, and the parenthesis and brackets can be used in both titles and to accent different areas of a scrapbook page. Be sure to read the article Scrapbooking with Arrows and also Brackets and Arrows for more ideas.